The history of ceramics goes back more than 30,000 years. I have been part of that history for 30. Clay has been part of the evolution of civilization, expressed in all the forms necessary for human rituals. The immediacy and the fluidity of the medium allow me to explore these forms, both functional and sculptural, that will reflect, not only my history, but also the times in which we presently live. In is my intent that these works generate a mood, an attitude and energy, which will expand in the context and placement of the form. 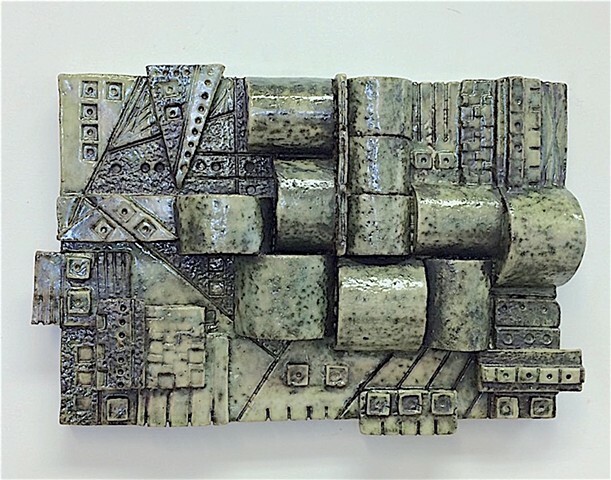 I use a combination of wheel thrown shapes and slabs of clay; along with the firing and multimedia application of oxide washes, glazes, paints and stains to create sculptures that are absorbed with their own unique histories. These histories are partly my own, partly our civilization and finally, more importantly, the history of the observer.